Green Papaya is probably the most underestimated Thai place in Jacksonville. 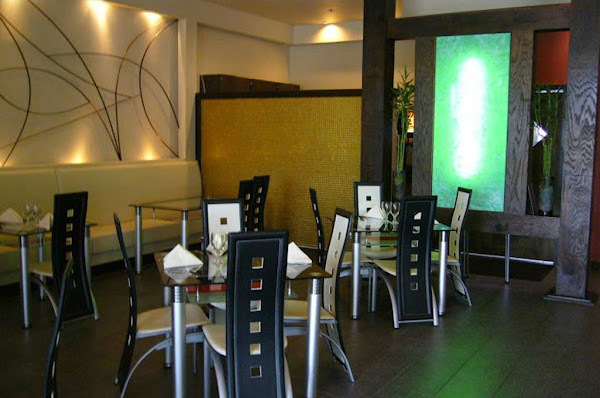 Nestled among the shops at River City Marketplace, this Thai restaurant is sure to knock your socks off! 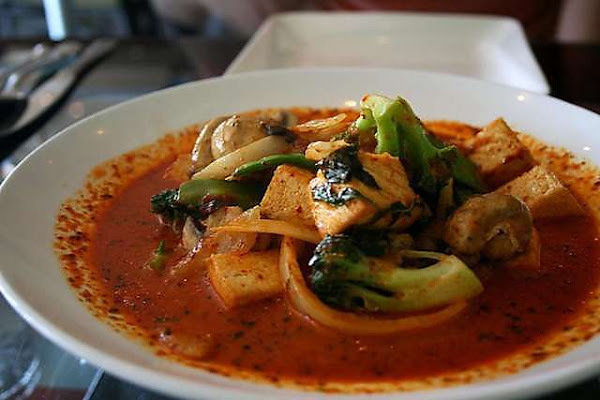 The menu offers a variety of classic Thai dishes including amazing curry (my fav) red curry, green curry, Tom Kha Gai, pad Thai etc. For those of you who fear foreign spices they also offer the familiar flavors such as egg rolls, teriyaki, szechuan, etc.One thing I really appreciate is you get to customize your degree of spiciness, 1 being the most mild and 5 being death (just kidding..sort of). I think I accidentally ordered a 4 one time and it wasn't THAT bad but it does clean you out (if ya know what I mean). My first time here I ordered the amazing curry and believe me, it lived up to it's name! I was delivered a large bowl overflowing with tofu (don't worry carnivores you could get meat) broccoli, a creamy curry peanut sauce and brown rice (on the side). It was more flavorful than spicy, which I prefer (no one likes there palette to be overrun with heat). There was more than enough to take home and I have to admit, it tasted even better as leftovers! 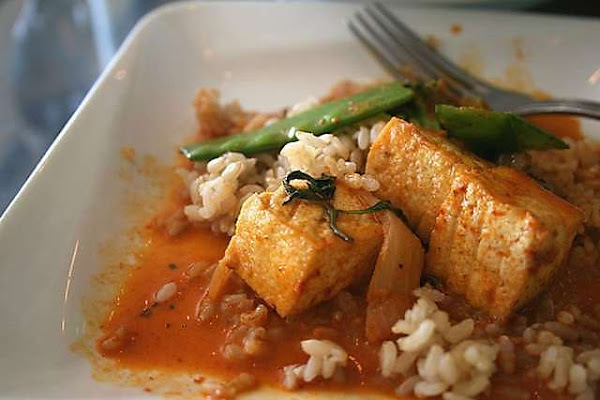 The second time we went here I decided to try tofu with red curry. It was a much more mild flavor (partially because I ordered a 2) but still delicious! It came with a choice of white or brown rice, broccoli, pea pods, onions, mushrooms and bok choy. Green Papaya is place I will keep coming back to. If you're a fan of Thai food (spicy or not) I highly recommend you check this place out!